Legacy Family Tree is an award winning professional genealogy program that helps you track, organize, print, and share your family history. Includes source documentation, over 100 beautiful reports, expert merging capabilities, To Do list, pictures, videos, Web page creation, Research Guidance, Internet searching, relationship calculation, name tags and more. Import/Export support. Simply the best genealogy software available and it's FREE. 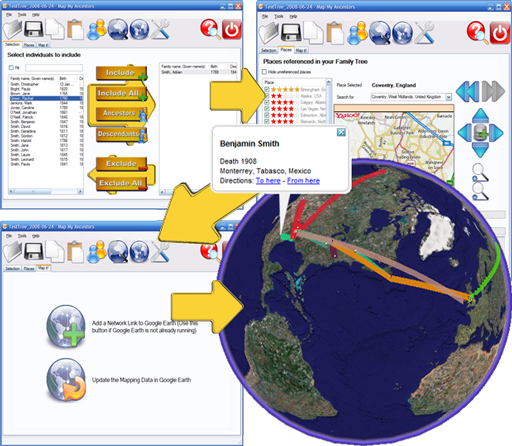 The Complete Genealogy Builder is a GEDCOM standard-compliant genealogy data management product, supporting the full repertoire of available data types. Whether you are starting from scratch, or wish to transfer you existing data to The Complete Genealogy Builder, you will enjoy a rich user-interface with maximum navigability and ease of adding information via a logical cascading forms structure.